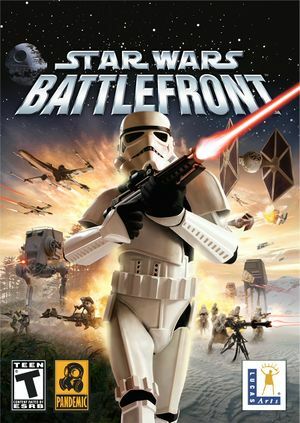 For the 2015 game, see Star Wars Battlefront (2015). Use GameMaster to replace the GameSpy server browser. CD-ROM edition with 3 discs and a rare DVD-ROM version. SecuROM 5 DRM until Patch 1.11. Latest version is Patch 1.2. Resolutions can be forced but are stretched from 4:3. Use the /win command line argument. Master, music, SFX and speech. 64 GameSpy matchmaking has been shut down. An Official FAQ is available for the PC version. This page was last edited on 16 April 2019, at 01:21.